The naval forces claimed it was the second attempt since November 2016 that naval forces have caught the Indian Navy trying to enter the country's territorial waters. 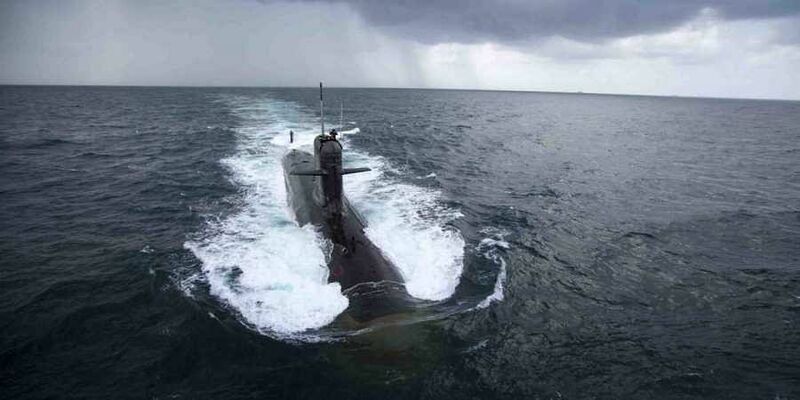 KARACHI: Amid tensions with India, the Pakistan Navy on Tuesday claimed it had thwarted an attempt by an Indian submarine to enter the country's territorial waters. Pakistan Navy also shared an "actual" footage, claimed to have been made at 2035 hours on March 4, with the media. "The Pakistan Navy used its specialised skills to ward off the submarine, successfully keeping it from entering Pakistani waters," a spokesperson said in a statement. Meanwhile, India rejected Pakistan's claim that its submarine had entered Pakistani waters, government sources said. The submarine video released by Pakistan is that of November 18, 2016, sources further said, adding that Pakistan is hyping up the war psychosis in order to divert world attention from the war on terror and the terrorists being trained by its army to carry out proxy-war against India. The Indian submarine was not deliberately targeted by the Pakistan to give peace a chance, the spokesperson said. "The Indian submarine was not targeted keeping in view Pakistan's policy of peace," the official said, adding that India must learn from this incident and "move towards peace". "The Pakistan Navy is always ready to guard its territorial waters and is capable of responding to any kind of aggression with full force," the navy said. Earlier in 2016, the Pakistan Navy successfully repelled an Indian submarine from entering the country's territorial waters, the report said.